Borneo is a company located in Borneo Island, South East Asia. It seeks to promote economic investment into the island through the Borneo Coins. By owning Borneo coins, individuals will have the opportunity to invest in projects run by Borneo First that are blockchain-based. Owning Borneo coin will allow you to participate in Blockchain projects run by Borneo First (BF). Our projects aim to unleash the true potential of Borneo Island while maintaining harmony with its rich nature and wildlife. In the beginning, we will focus on three main projects: Coal Green Mining, Independent Power Plant and Cryptocurrency Mining. Meanwhile, we also have some projects in the pipeline including CSR projects focusing on sustainable reservation endangered species such as Orang Utan. We foresee that some of these projects could result in another blockchain powered cryptocurrency, which will benefit BF community financially. BF team will work continuously to add more value to Borneo coin while also actively communicating with its supporting community to decide which projects BF should pursue. Industries and manufacturing companies rely heavily on coal to provide energy all around the world. Borneo First platform seeks to have coal mining projects that are eco-friendly, cheap, and with the lowest carbon emissions. The project will also rehabilitate mined land and make them more useful by turning them into parks or wildlife reserves. The main aim of this project is the maximization of profits from the coal green mining. This is achievable by the production of excess electricity, which the platform can sell to governments. The produced electricity will also power the crypto mining project that the platform has. This project also aims at creating electricity, which will be cost effective. The project will also include solar power plant that is implemented to utilize the fact that the island is located on the equator. High cost of electricity has always been a major problem facing the crypto mining sites. BF’s mining technology is the most current with thermal heat management and redundant electricity, which will result in conservation of energy and the protection of investment. Borneo First is also updated on the current mining trends in the industry and thus is in a position to advice miners the most beneficial coins to mine at a particular moment. The blockchain technology implemented in the BMG coin will ensure that the coin is stable, secure, and transparent on the network. It will also ensure that the coin has high liquidity and that it is easily tradable on major cryptocurrency exchanges. The project will not only benefit the company but also the community and the environment. The CSR programs will have services to the community such as building and renovation of infrastructure such as school and churches, scholarships, agriculture training, and other programs aimed at helping the community in solving some of the problems they face. Participation on the platform in issues such as voting in the referendum is recorded on the blockchain. The information recorded on the blockchain is used in determining how much profits will be shared to those who participated in the voting process. The Borneo coin (BMG) is an Ethereum based token, which complies with the ERC20 standard. It is used to make investments on the platform. Apart from being used in making investments, the tokens while be beneficial to the owners, as they will be able to participate in referendums by voting in order to decide whether a particular project is viable or not. Participation in the referendum relies on the number of tokens that an individual owns. There will be a fixed supply of the tokens to ensure that there is value maintenance of the tokens. The accepted method of payment for the tokens is ETH or BTC. CEO & CO-FOUNDER. Borneo native. ICO investor, miner, and day trader. 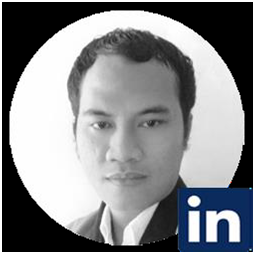 Agus has vast knowledge and experience in crypto-business. 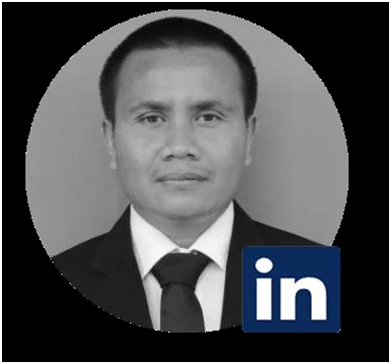 Other than experience in crypto, he also has more than 7 years of experience in coal supply chain, with main focus on ensuring the stabilities of coal products quality and quantity, and products management and delivery at coal terminal. A husband, father, warrior and friend has died February 18, at the age of 39 due to road accident. Leo was a big-hearted, humble man and devoted to family. He was a God-fearing man, kind and will be truly missed, always. BF team is continuing the idea he nurtured with co-founder Agus Arbyana. COO. Borneo native. Victoria Novi has over 10 years of experience in coal mining, from middle management to top senior position in mid-size and public company, with projects value range from multimillion to multibillion US dollars. 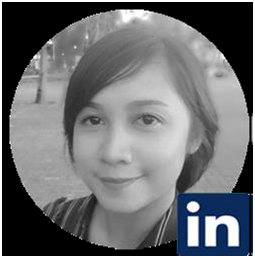 Her key strength is her incorporation of skills and vast knowledge of coal mining business management from obtaining license, setting up and running project at various mining locations in Indonesia. Other than mine management, she also has developed skills in human resources and community development. Currently, she has an ongoing study toward Master of Professional Accounting at Central Queensland University, Australia. CIO. 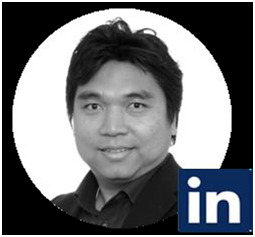 Arnold is a multinational executive and entrepreneur for over 15 years in the field of IT. He started his career as computer networks engineer at Fujitsu in Japan, and afterward has been CEO & founder of several companies in Japan and Indonesia, in the field of desktop/web/mobile software development, CTI/GIS, HR solutions, IT infrastructure and IT consulting. Arnold has a multidisciplinary background from Physics, Electrical Engineering, to Computer Engineering, and has Master’s degree in Computer Engineering from Kyushu Institute of Technology, Japan. CTO. 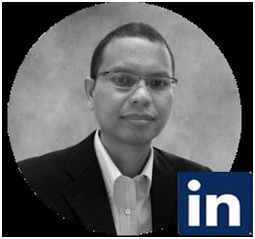 Entrepreneur, ICO investor, over 10 years of experience in IT, HR & Cryptocurrency Mining. Master of Engineering in Information Science from Osaka University, Japan. In his early career, Fidens worked for Toyota in Aichi and Tokyo, Japan. Besides being active in cryptocurrency and blockchain field for the past several years, Fidens also owns a private cryptocurrency mining site. 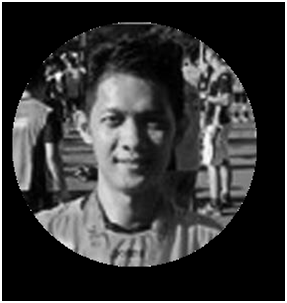 In 1997, he was Indonesia team member for International Olympiad of Informatics, the same competition that was participated by Ethereum co-founder, Vitalik Buterin. CFO. 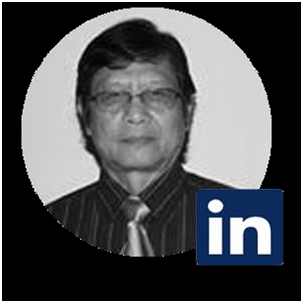 Over 7 years of experience in Commercial Banking with total assets of US$ 46 Billion. Yena has strong planning and knowledge in financial analysis, portfolio management, credit analysis, treasury management, business strategy, and operational risk management. Ananda Ivannanto, Power Plant Business Advisor. 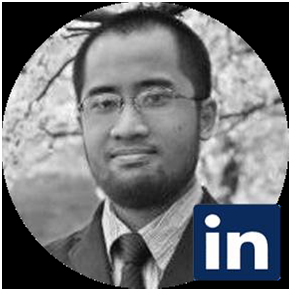 Ivan had almost a decade of experience in renewable energy, environment, commodities, and Indonesia-Japan business consultancy. He is well connected with people from Academic, Business, and Government which makes him becomes the nexus of many business opportunities in Indonesia. Ivan acquired his Bachelor of Business Administration and Master of Science from Ritsumeiken Asia Pacific University Japan, active committee of Indonesian Chambers of Commerce and Industry, and Indonesian Renewable Energy Society. Muchid Rofi’i, Coal Mining Business Advisor. Muchid is a mine manager with extensive experience in mine planning, large-scale production, heavy equipment management, and mine facility development such as crushing plant, road and port, etc. 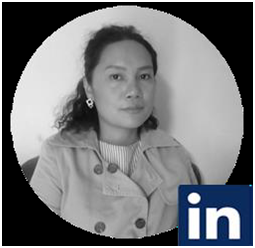 Other than vast experienced in coal mining and civil engineering, Muchid is also a building architect and has master degree in Human Resources. Dr. Darius Dubut, CSR and Organizational Development Advisor. Darius is a consultant for Mission21, an NGO in Basel, Switzerland. He is also a researcher with more than 20-years of experience with the community and organizations across nations- Germany, Indonesia, USA, and Tunisia, and was a awarded scholarship to study at Hamburg University, Germany for his master degree, and also several fellowship programs including at Hartford, Connecticut, USA.